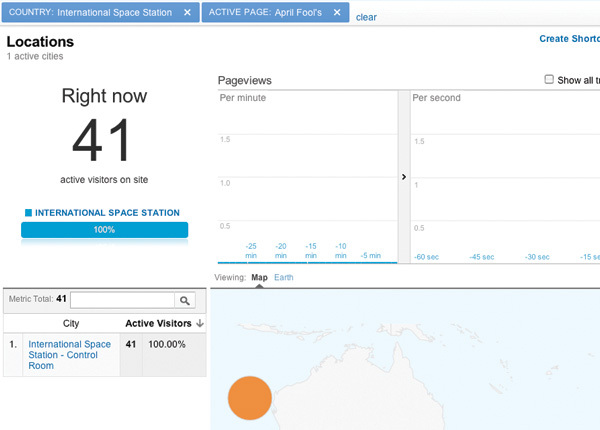 Google Analytics had an April Fools joke up it’s sleeve for 2013. 41 visitors from the International Space Station. Those who happened to have a look at their traffic location report, and didn’t have so much traffic that they missed it, were treated to a surprise. With a traffic source of “April Fool’s” the trick was quick to uncover, but the joke also included a bit of real information as the location map tracked the position of the International Space Station as it orbited earth.